How many faces does documentary have? They’re countless. We have picked directors with an original way of expression and we invite you to explore the diverse ways in which they perceive the world, society, reality and time. Cinema Masters. Autumn with filmmakers who are worth it! Agnès Varda, Jan Němec, Chris Marker, Peter Tscherkassky, Victor Kossakovsky, Sergei Loznitsa and others; ten filmmakers, ten different filmmaking approaches. We have prepared a collection of directors whose works are worth watching regardless of their theme, time of their making or the number of awards. War, hatred, mistrust, armed attacks by both sides, and hopelessness. These are all characteristics of the never-ending, Palestinian-Israeli conflict. We would like to present Israeli director Avi Mograbi, who reflects his Jewish identity through his unique artistic style: he makes fun of himself without ceasing to take his subject matter seriously, combining politics with his purely personal perspective. On the occasion of the 50th anniversary of the occupation of Czechoslovakia by the armies of the Warsaw Pact in 1968, we present two remarkable films focusing on the Prague Spring. The Ferrari Dino Girl by Czechoslovak New Wave classic Jan Němec and Elective Affinities by Karel Vachek include authentic scenes as well as a re-enactment of the period events. What sorts of documentaries are made in Taiwan? Do the filmmakers share similar themes, or do they cover a more diverse range? In conjunction with Taiwan Docs, over the next two weeks we will present a selection of the most recent short and mid-length Taiwanese documentaries that have been screened at prestigious international film festivals. “I have always found convention annoying,” once said the director Věra Chytilová in an interview. This “first lady of Czech film” found a permanent place for herself in the history of world cinema thanks to her original and uncompromising – yet still playful – creativity. FIDMarseille: Long Live the Winners! What films are winning at the French documentary festival FIDMarseille? In the next two weeks, we will take you to the coast of the Mediterranean Sea and present the films that appealed to last year’s jury the most and won the main awards and special mentions. Join us on a trip to the French Riviera and watch the best of the prestigious FIDMarseille festival! The renowned Ukrainian documentary filmmaker has been mapping the phenomenon of contemporary Russia in an original way for several decades. In his films, he meets his protagonists in big cities and remote territories, following politicians as well as the everyday lives of common people. Mansky’s latest film Putin’s Witnesses will be premiered in the documentary competition at the upcoming Karlovy Vary IFF. The director’s current retrospective at DAFilms includes an exclusive preview from the film. The Syrian Civil War started more than 7 years ago, lasting already 2645 days (June 11, 2018). Since it started, approximately half a million people died and over six million were forced to flee their homes. There are four sides involved in the conflict that are supported by various countries and fractions. However, the numbers fail to describe the complex situation, as they cannot tell individual human stories. That is why we present a selection of documentaries dealing with the war in Syria from various points of view. The Vietnamese are the third most numerous national group in the Czech Republic. The first wave of immigration came already before the revolutionary year of 1989; since then, more Vietnamese have been coming to the Czech Republic, with the youngest generation already being born here. What was it really like for the Vietnamese to live in the Czech Republic ten years ago and what is it like today? Do young Vietnamese deem the Czech Republic their home or do they long to return to their “homeland“? These and other themes are reflected in a serious and fun way in the films by Czech and Vietnamese directors in our current Curated Program. Why do people still react to difference by aggression? Where does the struggle for sovereignty end and nationalism begin? Is hate leading to war a never-ending story of human history? Chris Marker, Peter Entell, Selma Doborac and others have looked for answers. The French director, cinematographer and actor straddles the line between documentary and fiction. She often works on her films as script writer and editor as well. The protagonists of her films are mostly women, teenagers and immigrants whose stories she brings to the foreground. Due to her effort at exploring reality in detail and from all perspectives, Claire Simon is often linked with the tradition of cinéma vérité. Free Lunch Society – Utopia or Reality? Getting a regular income without work? That is utopia to most of us. However, it may soon become reality. In his montage film Free Lunch Society – Come Come Basic Income, Austrian economist and director Christian Tod addresses one of the crucial issues of our time – unconditional basic income. Unsolved criminal cases, war crimes, touching life stories of young petty thieves as well as the portrait of a hitman in the services of the Italian drug mafia… Why has crime attracted both filmmakers and viewers since time immemorial? Watch various forms of evil captured by renowned filmmakers. East Doc Platform is an annual event organized by the Institute of Documentary Film where documentary filmmakers from Central and Eastern Europe meet and consult their projects with experts from around the world. EDP bridges the East and the West, bringing together filmmakers across countries and continents. You can’t help being in love with documentary films? We understand you! For a perfect celebration of the feast of love, we have films about love, dating, eroticism, the first kiss as well as how they love in Sweden in store for you. The year 2018 brings anniversaries of many important historical events. In collaboration with the National Film Archive, we will present films capturing or reflecting the time of their making while putting the given events in context and perspective throughout the year 2018. The end of the year is a perfect time for retrospection, evaluation and best of charts. In December, we at DAFilms traditionally give our program selection over to you, our viewers. The Curated Program includes the films that you liked and watched the most in the past year. Plus, as a Christmas bonus, we added a few new films that were successful at festivals and now receive an online premiere at DAFilms! Join us on a trip to Asia, particularly Taiwan. In cooperation with Taiwan Docs, we invite you to watch Taiwan’s best contemporary films shown to audiences at international festivals around the world. Czech Joy in Czech Cinemas is also presented online this year. Go watch a new film every night this week; all you have to do is enter DAFilms.com in your search engine. Look forward to new documentaries and hybrid films: for instance a portrait of a controversial personality or a road movie about a repeat offender on his journey towards luck! DOK Leipzig is Germany‘s biggest festival focusing on documentary film. What makes it even more special is the fact that its program includes both documentaries and animated films as a unique and independent form of expression. Short Joy: Vote for the Best Film! Short Joy is a traditional competition section of Ji.hlava IDFF presenting the best short documentaries. This year, the decision-making authority is bestowed upon you, viewers, for the first time. Which film do you think is the best? On the occasion of the 10th anniversary of DAS Award, awarded by seven European documentary festivals, we have prepared a selection of films nominated in the past decade. What themes do they address and what documentary approaches did their directors choose? What development has documentary film undergone in the past 10 years? See for yourselves! Are you interested in Czech documentaries? In the next two weeks, you can spend your evenings with the best of the Czech production. Together with the Institute of Documentary Film, we invite you to watch a selection of films from the past year. Documentary and experimental films can have many forms that are often inspired by literature and other art forms. Directors can thus become poets and tell their viewers about their themes lyrically, be it in blank verse or in a limerick. Some compose epopees, some create rambling and rebellious poems like François Villon, and some shoot austere haikus. The summer is nowhere near over! This year, too, DAFilms presents a selection of films by young filmmakers from the Department of Documentary Film at Prague’s FAMU. What are the areas of interest of the up-and-coming generation of documentary filmmakers? Is it possible for a documentary film to capture reality in a way that is undistorted? Is it possible to truly see reality reflected in a documentary film? Where is the boundary between documentary and fiction? In our selection focused on hybrid films, we examine the borders of fictional worlds. Jan Ságl was a key photographer and documentarist of the Czechoslovak underground of the 1960s and 1970s. He is closely connected to the art scene which represented the counterculture. My Street Films has been around for four years and its online film map has been gradually filling with short films from the Visegrad Four countries as well as from the UK and Ukraine. FIDMarseille: Vive le film documentaire! In the next two weeks, we are moving to the seaside resort of Marseille which will host the FIDMarseille festival from July 11 to 17. DAFilms presents a selection from the competition sections of the past edition. We introduce one of the most prominent French artists of the 20th century and film director of the French New Wave. Throughout his life, Marker explored film as a medium and experimented with its form; his work reflects the technological development of cinema while merging film, new media and the internet. He was a leftist artist who voiced his provocative opinion on the current social and political events in his films. His work is imbued with the recurrent themes of time, memory and nostalgia. Celebrate with us 15 years of Central and East European cinema under the patronage of Ex Oriente Film, an international training program for documentary professionals supporting the creative development and funding of documentary films from the region. 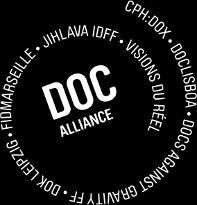 On April 21 to 29, the 48th edition of the Doc Alliance festival Visions du Réel will take place. For nine days, the quaint little Swiss town of Nyon will turn into world‘s main stage of documentary cinema. Let us take you to the festival streets even before they get fully veiled in their typical red colours and watch a collection of 9 competition films from last year’s mid-length section: for instance the winning film Sit and Watch, the music film Satan Satie or the intimate Resplandor. Watch Visions du Réel online on your screens until the end of this month. Explore scientific discoveries through documentary film. This time, our film selection combines scientific research and film language, whether it is in the documentary sci-fi The Visit by Danish director Michael Madsen, French natural scientific film In the Mind of Plants or films dealing with the relationship between man and robot. See how filmmakers and scientists find common ground! The documentaries are accessible exclusively to the Czech audience. One of the currently much discussed issues is how much time we spend in the real world and how much time we spend in the virtual one – online. In the late 1980s, Europe decided that walls and wire fences made no sense. Some thirty years later, we are getting back to them; and not only in Europe. Donald Trump is obsessed with building a super expensive wall between the United States and Mexico. What is life actually like in Mexico? Find out in our event! Until the end of the year, you can spend the long winter evenings by watching the best and most popular documentary films presented on our portal during the year. In collaboration with their makers, we decided to offer some of them for free as a present. With love from DAF to you! Doclisboa online! And for free! Enjoy the popular Portuguese festival thanks to our event until December 18. For 3.99 euro, you can get a selection of 8 documentaries that entered Czech cinematic distribution in 2016 as well as access to another 1500 films from around the world. Dear friends, please, do not forget that you can give an ideal present not only to your intellectual friends but also to yourselves. Experience the successful German festival at DAFilms.com. Until November 20, we present five films from the competition section. Online and for free! From October 24 to November 6, DAFilms.com presents a showcase of documentary essays screened at Jihlava IDFF. Don’t miss the greatest festival gems of the past twenty years! Das Filmfest presents quality documentaries in its popular section Die Doku this year as well. We offer their trailers as an invitation. What is more; you can also stream the cinema hit Meine Keine Familie. Until October 19 at DAFilms.com! The aim of Visegrad Film Festival is to make Irish audiences familiar with the existence of Visegrad. The fact that it is a locality with fruitful film production is proved by the films presented at DAFilms.com until October 9 for free streaming! Thanks to the showcase of the favourites of Taiwan International Documentary Festival, Asia is just one “click“ away. It is for the first time that we offer a selection of Asian films; stream them for free from September 12 to 25 at DAFilms.com.